While working at Catt Lyon Design, schematic designs were developed to revitalize and reorganize the Las Vegas Convention Center. Working alongside HNTB Architects of Kansas City, Catt Lyon analyzed, evaluated, and developed new wayfinding systems designed to clarify an overly confusing existing system. Overall, the signage was designed with the realization that (1) it would need to accomodate vendors and exhibitors within the Convention Center, and (2) the Convention Center might have more presence if it opted to stand as a white dot in a sea of visual noise. Renderings courtesy of HNTB Architects and Catt Lyon Design. The building had been previously designed as three separate "additions," leading to a disorganized wayfinding situation which left many visitors lost, feeling stranded. HNTB developed an organizing façade that would link the three buildings using a conditioned walkway system. Interior materials would visually tie internal elements together. 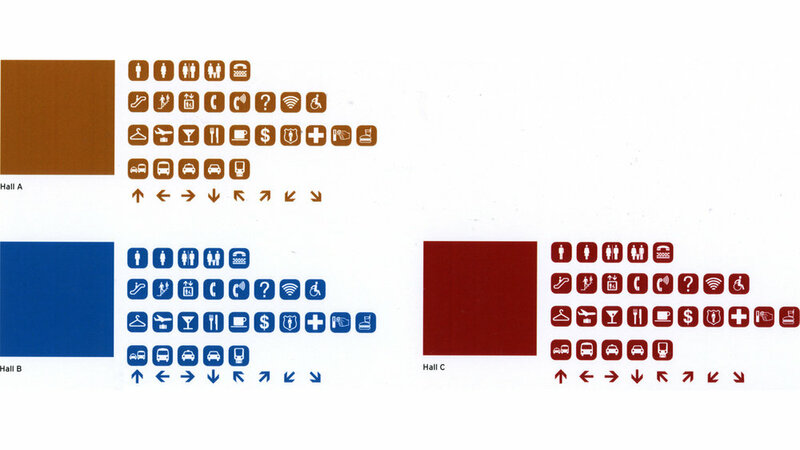 Taking clues from these design moves, Catt Lyon developed a color palette for all signage and wayfinding elements. 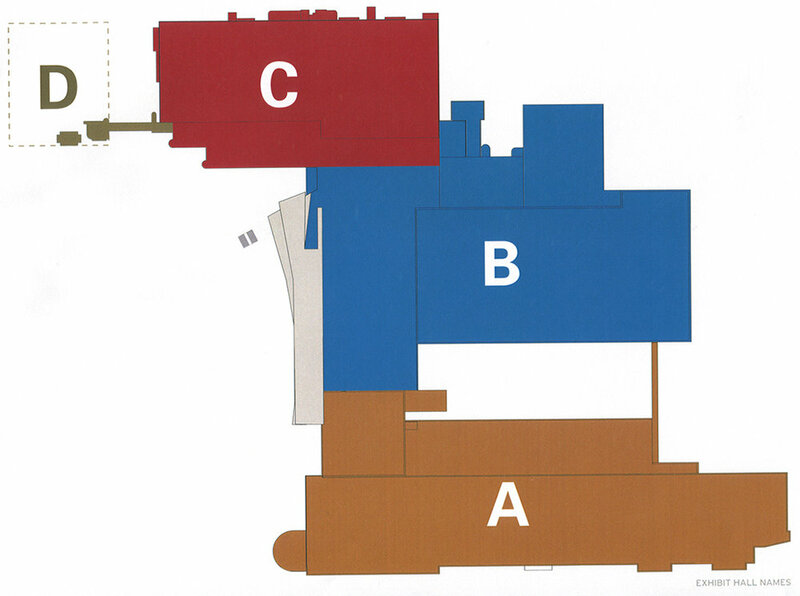 All elements within each of the three buildings would be assigned the building-specific color to help visually orient visitors within the overall complex. Additional dynamic signage would allow for constantly changing messaging without the overhead of printed materials.